Where are these months going?!? Pretty soon we will be making Christmas cards again. It is the 17th and that means I am here to remind you to check the sistahs. Get in the shower today and soap them up, feel around, even in the arm pits. If you felt something strange...call the doctor T O D A Y !!! 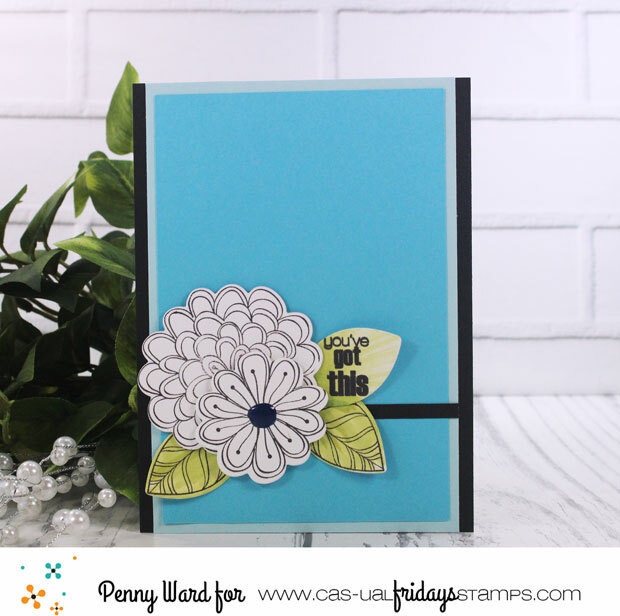 Pretty color combo with simple white flowers and a cute message. 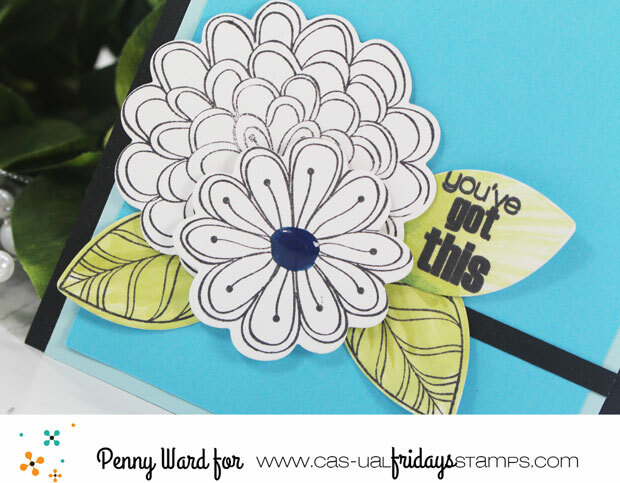 I absolutely love the Posies from Cas-ual Fridays and they even have a matching die. One leaf was left unstamped so I could add a sentiment. You probably get tired of me telling you I had Breast Cancer. It is not a club you want to join...trust me! But if I can get one woman to do self exams, I might just help save her life. I am thankful every day that my mother taught me how to do them...she saved my life. Breast Cancer can be cured...but you have to catch it early. That's all for today from me, but make sure to check out what the other designers have for you at Calling All Sistahs. Come back tomorrow for the new Encouragement Challenge. Such a pretty card to send out the important reminder! Stamping the sentiment in one of the leaves is such a cute idea! I might just have to CASE that one. ;) Thanks for the reminder. It's time for me to check and schedule.